Studio Blog: ‘Roar’some Entertainment For The Whole Family! ‘Roar’some Entertainment For The Whole Family! 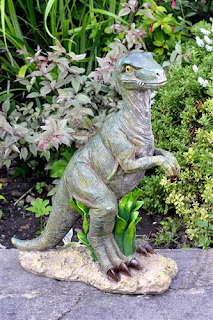 We are celebrating the release of Jurassic World, the fourth instalment in the prehistoric franchise; which smashed its way onto the silver screen for the first time, back in July 1993; yes, 22 years ago – now who’s the old dinosaur? A box office hit across the globe, the Steven Spielberg directed original; which was based on the bestselling Michael Crichton novel of the same name, went on to spawn two sequels; The Lost World: Jurassic Park (1997) and Jurassic Park III (2001). Now, 14 years since we last visited Isla Nublar and Isla Sorna, we are set to return to the park where it all began, now known as; Jurassic World. 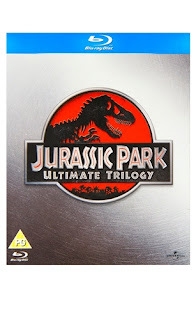 Before you head off to the cinema, why not return to where it all began with the the Jurassic Park: Ultimate Trilogy Blu-ray box set. With all three classic films, together in high-definition for the first time, accompanied with an array of fascinating special features for each film, this really is a must-buy. Plus, with over 60% bitten off the price - at just £17.99 for all three films, we really have ‘spared no expense’. Keep the kids entertained for hours for as little as £4.99. 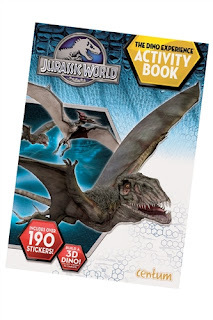 The Jurassic World Activity Book has over 190 stickers and is packed to bursting with fun activities. 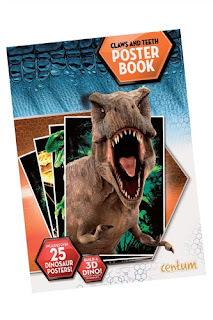 Or, why not turn their bedroom into the ultimate dino den, with the Jurassic World Poster Book. 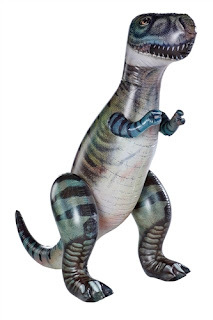 Packed with over 25 different dinosaur posters, you could decorate the bedroom walls into a jungle of teeth and claws. The fun doesn’t have to stop there. 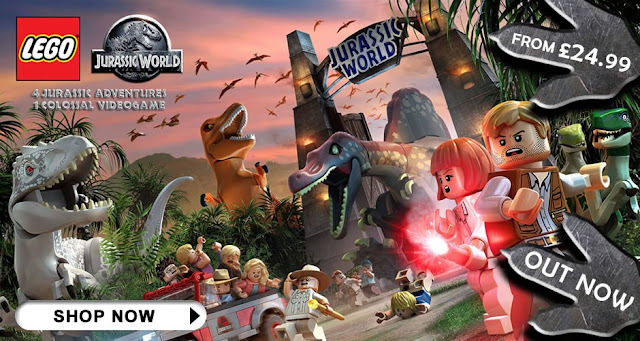 The newly released LEGO Jurassic World videogame will let you play through all four films, as LEGO. Relive all the classic moments from Jurassic Park, The Lost World, Jurassic Park III and the newly-anticipated Jurassic World. Recreated with the classic LEGO humour, you and the kids can explore the islands and experience every thrilling moment, again and again, in one epic adventure. Starting from as little as £24.99, the LEGO Jurassic World videogame is available on: PS4, Xbox One, Wii U, PS3, Xbox 360, 3DS, and PS Vita. 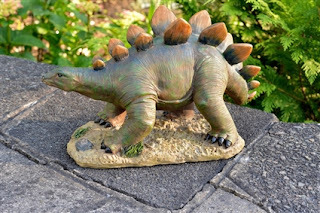 Take the excitement into the garden with the Giant Inflatable T-Rex, and these Dinosaur Garden Ornaments. 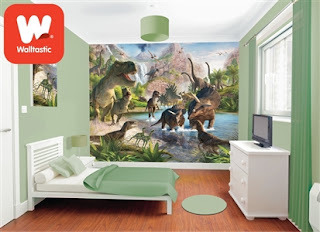 Turn the kid’s room into their very own jungle with these Walltastic Wall Murals, and the kid’s themselves into a dinosaur with these cute Dinosaur Mac, Wellies and Accessories. 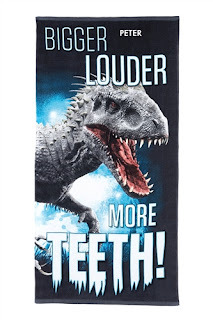 Leave footprints in the sand and take the terror to the beach, or by the pool with this Personalised Kid’s Towel, BIGGER, LOUDER, MORE TEETH! 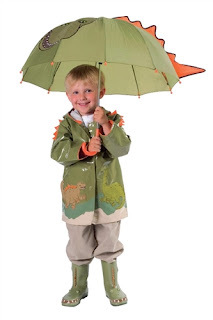 Plus, there is much more dino related fun to be had.